2 days ago I began having strange deep shoulder pain that would bother me when I moved a certain way or inhaled deeply. Since I do aerial (e.g. silks, aerial hoop) and know many people who get injured by not warming up enough or doing a move wrong.. 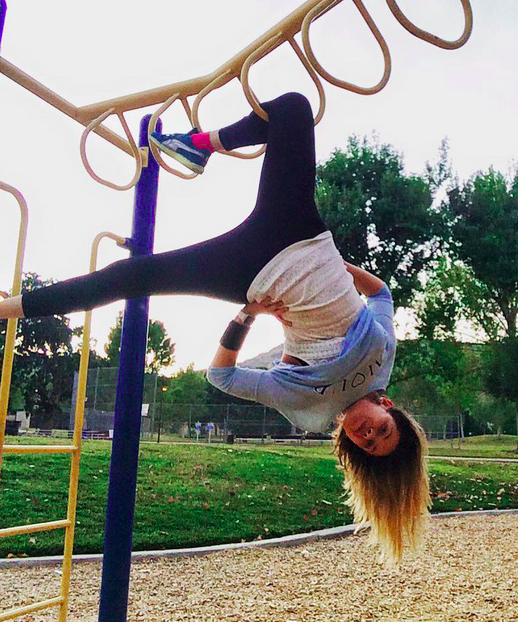 I immediately assumed that i pulled a muscle the day before when I was trying tricks on the playground. It seemed like the most logical explanation, though I was bothered by one problem: I did not feel an injury as I did various inversions. When you pull something, you normally notice something immediately and I did not. My immediate explanatory model for the pain was my aerial practice the day before- it seemed most plausible that I pulled a muscle while inverting (and not warming up). The alternative explanation of AC blowing on my neck for my 6 hour car trip seemed silly in comparison.. yet turned out to be true. On the next day the pain spread and was following me all morning no matter what I did- inhaled, sneezed, turned my neck to the left, lifted my arm. My Romanian in-laws, upon hearing my complains, suggested it was due to having AC on in the car while driving from AZ to CA. Having lived in the US for too long, I quickly dismissed this scenario. I suppose I forgot the fear of the draft i’ve been instilled with in childhood. Somehow, Americans do not generally hold the belief that cold air can cause issues, though you hear about this in so many other cultures. Germans, Japanese, Russians- they all can tell you some stories about the dangers of THE draft. I heard so much back in Ukraine about not sleeping with a window open or not having your window down while driving, that I took it for granted.. yet absolutely lost this caution in my new country of citizenship! After multiple muscle creams, tennis ball massages against the wall, and resting.. the pain just made me want to miserably walk around sobbing and eating chocolate… Then came the miracle of an old Romanian folk remedy. It was a very sophisticated procedure: I got rubbing alcohol… rubbed around the painful area…and covered with a towel to keep warm before bed. Ta….da…. When I woke up, I couldn’t believe that the horrific suffering of the day before was simply gone. It did make me smell like a cheap alcoholic mixed drink for about 15 minutes after I got covered and wrapped (my friends politely sat away covering their noses with their t-shirts), but that was the only side-effect i experienced. The relief the next morning was so unexpected it felt like magic– and even prompted me to share this little story in my blog! I later Googled “horrible shoulder/neck pain caused by cold air” in need of an official explanation. It looks like cold air blowing on certain parts of the body (seems like neck area is particularly vulnerable) for a period of time without movement (like when you sleep..OR when you drive from AZ to LA with cold AC blowing on your neck 🙂) can cause your muscle to stiffen and thus lead to this horrific deal. My friend, a PT, also told me over the phone that my muscle must have spasmed and I managed to increase the blood flow to it with the alcohol. Such biomedical explanatory stories satisfied my curiosity- not like I needed them to get rid of the pain, yet the mind simply needed to understand!! 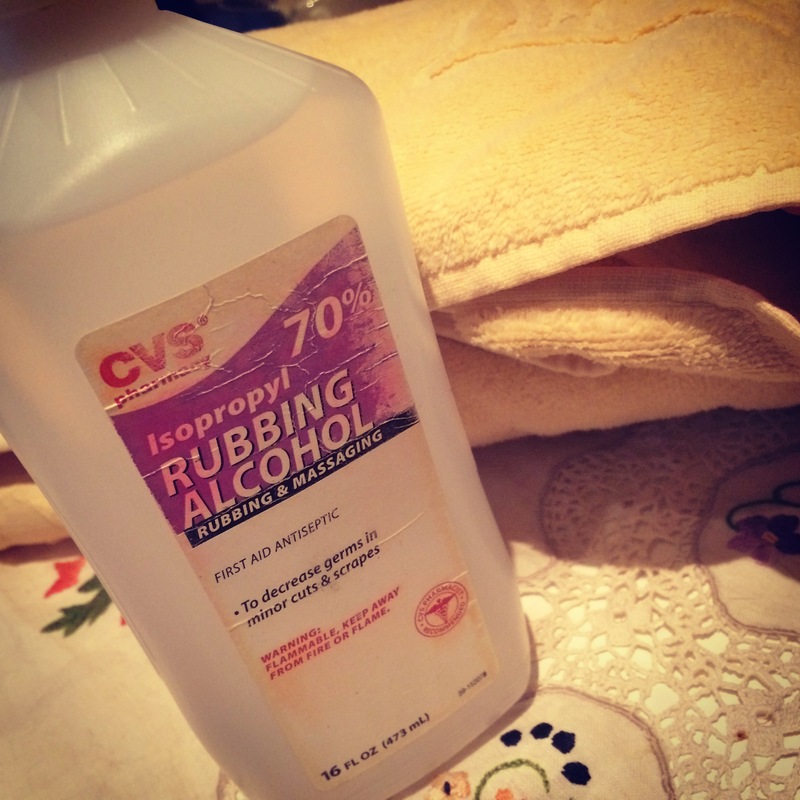 Well.. big YAY for cheap rubbing alcohol from CVS & the fantastic human ability to transmit cultural knowledge through generations in the form of folk remedies!